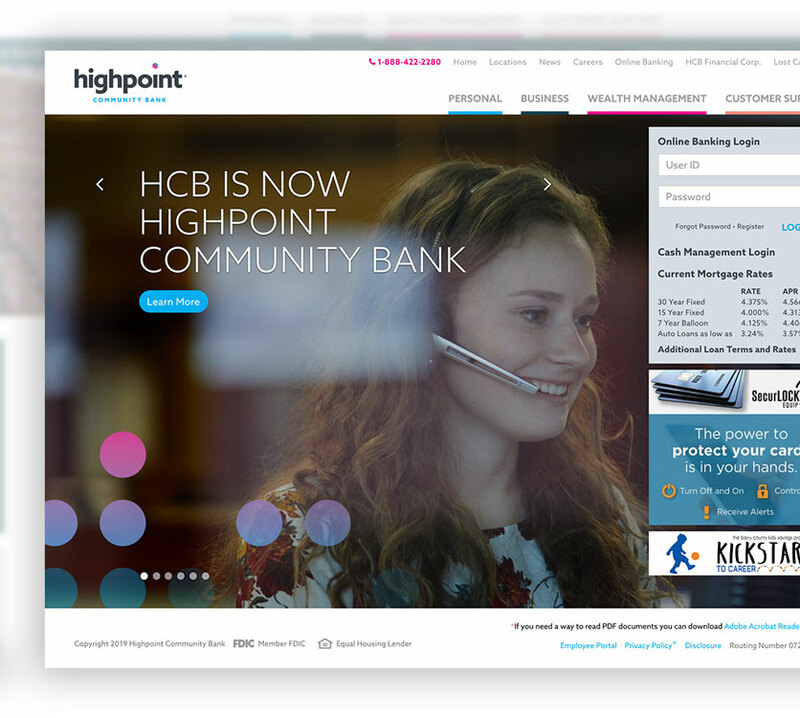 We redesigned the Highpoint Community Bank’s website while staying consistent with their new branding guidelines. One of the client’s major requests was for a simplified way to manage the weekly rates that are shown in multiple areas on the site. We built a custom solution for the client so they simply upload a spreadsheet, which is then displayed in a table. The site is also ADA compliant.